In the late 1920s, Benjamin Graham – later known as the father of value investing – discovered that a company in which he owned a small stake had a hoard of excess cash in railroad bonds and other securities. Graham began a campaign against the management of Northern Pipeline in which he demanded the securities be sold and the profits delivered to shareholders. In his book Dear Chairman, Jeff Gramm, a hedge fund manager and professor at Columbia Business School, describes this boardroom clash as the spark that ignited an era of activist investing. Decades later, in the 1980s, shareholders found new ways to use their rights to influence public companies. Activism became more hostile in the age of ‘corporate raiders’. Investors such as Carl Icahn and Nelson Peltz staged ruthless takeovers and buyouts, and the press this generated pushed activist investing further into the mainstream. By the 1990s, even pension fund managers such as CalPERS were engaging in campaigns. Today, hedge funds are the face of activist investing, but the very practice is beginning to shift. Increasingly, funds are targeting companies based in Europe: in 2009, there were just six activist campaigns targeted at European firms worth over €1bn, but by 2016 there were 40. Although the US was the breeding ground for shareholder activism, American tactics have begun to spread around the world. In a report on the 2018 proxy season, JP Morgan declared Europe had “confirmed its position as a major shareholder activism arena”. Of 318 non-US campaigns initiated in 2018, 128, or 40 percent, targeted European companies, many of which were the most high profile of the year. However, Europe still has far fewer activist campaigns annually: in recent years in the US, the average number of new campaigns ranged between 300 and 500, according to Activist Insight. In fact, many US hedge funds started looking for opportunities abroad for that very reason. Non-European activists were responsible for initiating 43 campaigns in Europe in 2018, up from 39 in 2017, JP Morgan found. Nearly three quarters of those campaigns were said to have been launched by US funds seeking viable targets outside their oversaturated home market. 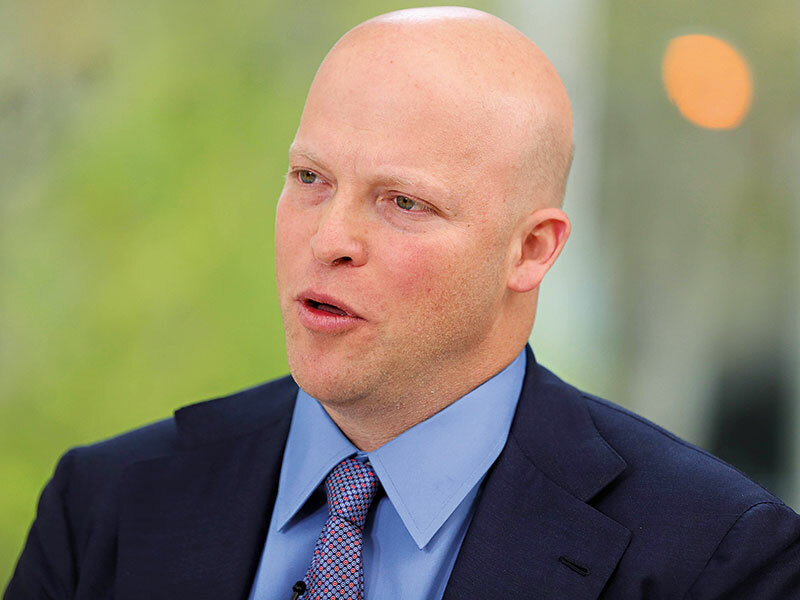 “Both Corvex Management and Sachem Head launched their first European campaigns this past year, while Trian Fund is said to be raising a UK-listed fund to target a European company,” JP Morgan said in its report. Prominent cases involving US hedge funds and European companies in 2017 included Third Point and Swiss consumer goods giant Nestlé, Elliott Management and Dutch paints and chemicals maker AkzoNobel, and Corvex Management and French food group Danone. In Europe, the degree to which activism is accepted varies from country to country. According to Activist Insight, the UK tends to see the most action by far, but activists in countries including Germany, France, Italy and Switzerland have become more prominent in recent years. Recent high-profile wins by activists – including Corvex’s success in preventing Swiss chemicals group Clariant from merging with a US rival and Elliott’s success in pressuring leisure group Whitbread to sell a coffee chain it owned – will likely encourage investors by showing them that the activist strategy can work. Despite the slight drop in the number of non-US campaigns in 2018 compared with the previous year (318 versus 328), investors are beginning to target larger companies and make some of their biggest ever investments, according to JP Morgan. Data from FactSet showed that the average market capitalisation of a firm involved in an activist campaign in 2012 was $2.7bn (€2.37bn) – by 2015 that had risen to $4.7bn (€4.13bn). In 2018, companies worth $10bn (€8.78bn) or more accounted for nearly a quarter (23 percent) of all European activism activity – higher than any other region. What’s more, companies targeting firms in the upper half of that limit – between $5bn (€4.39bn) and $10bn (€8.78bn) – represented 13 percent of all activity, up from just five percent in 2017, JP Morgan found. “The trend toward European large and mega-cap activism will continue, as this size range has not been over-targeted, as it has been in the US,” the report concluded. This is causing a spillover effect: more potential targets know what to expect when a hedge fund comes knocking on their door, and in many cases the evidence shows they end up making the changes themselves to prevent a public battle. Another phenomenon driving today’s softer style is quiet activism. Quiet activism can include activists who prefer to influence board decisions by abstaining or withholding votes for proxy issues, or activists who decide to conduct their campaigns with the management in private. According to Activist Insight’s latest data, the effects of a quieter form of activism can already be observed. In the year to September 30, 2018, 112 European companies were subjected to activist demands. This was down from 136 in the same period in 2017 and 144 in 2016. But Josh Black, Activist Insight’s Editor-in-Chief, told European CEO that advisors in the activist investing space had said more activity was going on behind the scenes in 2018 than the numbers suggest. Beyond the rise in quiet activism and the spillover effects of public campaigns, there are fresh signs that activism may be changing shape again. For instance, some activists are beginning to hold their positions for longer, pushing for long-term change rather than looking for a quick payout. The gap between hedge fund activists and active managers or mutual funds is narrowing, and while Franks expects it to continue to contract, he said it would not close completely. “The resources that a hedge fund activist can deploy into an engagement is hugely greater than that of an active manager,” Franks explained. In the first half of 2018, there were many newcomers in the activist investing space. First-time activists launched nearly 20 percent of new campaigns, according to a report by asset manager Lazard. As activist campaigns become more conventional and widespread, boards are beginning to see them as an eventuality, and shareholders are more open to supporting them. In reality, activist campaigns are nothing new. Disgruntled stockholders are clashing with management teams over the same issues today that they were in the 1920s. Even in Europe, however, it appears shareholder activism is losing its shock factor, but the growing acceptance of activism in many new countries is causing the shape of new campaigns to morph. After decades of ruthless hostility, it looks like activism is taking a turn towards something softer.